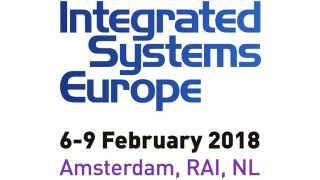 Matrox Graphics Inc. will be at Integrated Systems Europe 2018 (Stand #11-D120) demonstrating the "ease with which any data source can be seamlessly captured, streamed, recorded, extended, displayed, and controlled on standard 1 GigE networks," according to the company. Matrox Maevex 6100 Series quad 4K enterprise encoders, Mura IPX video wall 4K capture and IP encoder/decoder cards, Extio 3 IP KVM extenders, and Monarch streaming and recording appliances will be the centerpiece showcases for Matrox at the event. Extio 3 IP KVM extenders will demonstrate its IP KVM extension, real-time switching with 4Kp60 4:4:4 UHD and quad 1080p60 4:4:4 capabilities over standard Gigabit Ethernet.